CHICAGO - Nation of Islam leader Louis Farrakhan said Tuesday that those rejoicing in the death of ousted Libyan leader Moammar Qaddafi will come to sorrow and predicted that the U.S. is unprepared for the looming backlash from his overthrow. Farrakhan told a Chicago radio station that Qaddafi's death was ``an assassination'' and laid it at the feet of the U.S., Great Britain and France. Qaddafi was killed last week, two months after being ousted as Libya's leader. His 42-year reign turned the oil-rich country into an international pariah and his own personal fiefdom. Farrakhan, who considered Qaddafi a friend, said those nations' establishment of a no-fly zone to stop Qaddafi's planes and offers of humanitarian relief to the Libyan people were intended to help oust Qaddafi from power and gain access to Libya's oil wealth. Farrakhan also noted that the people now claiming leadership of Libya are advocating Islamic Sharia law, something that he contends the U.S. has opposed. Farrakhan earlier this year portrayed Qaddafi as a fellow revolutionary who has lent millions of dollars to the Nation of Islam over the years. The group used $3 million it borrowed from Libya in the 1970s to acquire its opulent headquarters on Chicago's South Side. A $5 million loan was used years later to pay back taxes and costs for the home of the movement's former leader Elijah Muhammad. ``It wasn't the money, but the principles that made me his brother,'' Farrakhan said. Farrakhan said Libyan oil revenue was used to build schools and universities that increased literacy, and he credited Qaddafi with establishing a health care system that he said was the best in the Third World. Qaddafi, 69, was buried Tuesday along with his son, Muatassim, and former Defense Minister Abu Bakr Younis after the military council in the city of Misrata ordered a reluctant Muslim cleric to say the required prayers. The National Transitional Council is under international pressure to investigate the circumstances of Qaddafi's death. 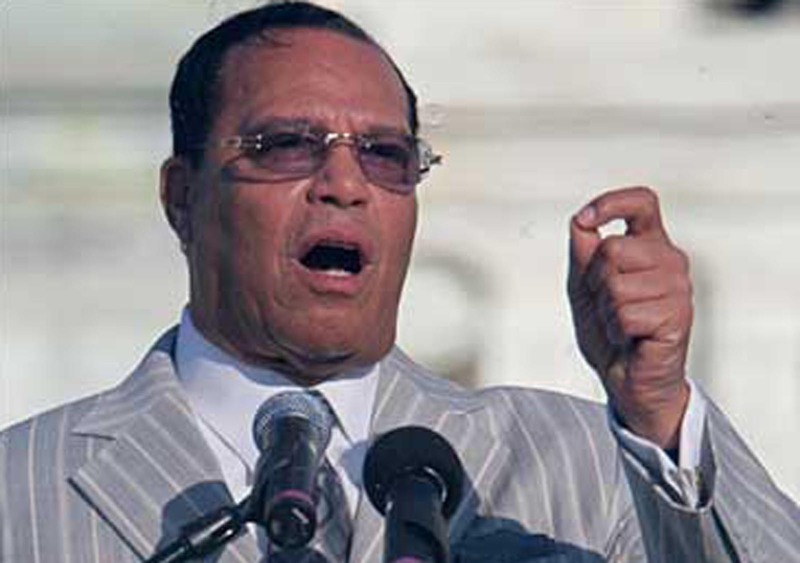 Farrakhan said America ``doesn't know what it's gotten itself'' into with the Qaddafi overthrow. He said he didn't believe Qaddafi when he said al-Qaida was involved in efforts to oust him, but now Farrakhan believes that was true. The Chicago-based Nation of Islam has espoused black nationalism and self-reliance since it was founded in the 1930s, though in recent years has made efforts to recruit other ethnic groups.